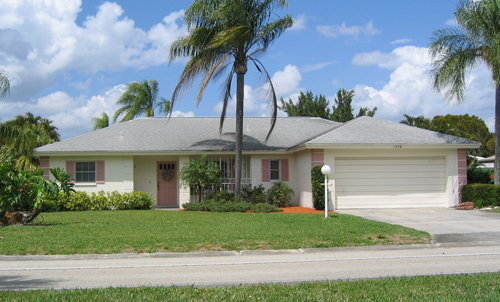 Whiskey Creek is one of Ft Myers long standing prestigious communities established back in the early 80’s era. Before Whiskey Creek, the prestigious areas of Fort Myers were off McGregor, Ft Myers Villas, and Tanglewood to name a few. Back in the 60’s and 70’s smaller homes were prevalent with shag carpets and lime green or yellow counter tops. 2 Bedroom homes were very common. Povia Ballantine was a builder here in SW Florida and you could always spot one of their homes by the door knobs which were usually yellow speckled, and many were in the Villas, Cypress Village, and other communities. 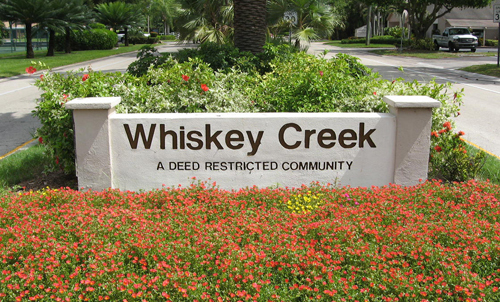 Whiskey Creek is divided by Whiskey Creek Dr, and one side featured custom homes by various builders and the other was predominantly US Homes. This is why there was a difference in values based upon location and features which still exists to this day. What’s really interesting is the amount of interest Whiskey Creek receives to this day, which could be a function of owners maintaining their yards and landscaping so well, the mature trees, the oversized yards as opposed to today’s newer subdivisions, or the central location to everything via McGregor, College Pkwy and Summerlin Rd. It’s amazing to me when young families call us and only want to look in Whiskey Creek to raise their family because one of them grew up there as a child and wants that same location to raise their children. Currently there are 31 homes on the market priced from $160,000 to $849,000. There are 4 pending sales priced from $169,900 to $279,000. Since the beginning of the year there has been 26 closed sales priced from $108,000 to $875,000. Of the 31 homes on the market, 9 are short sales, and 2 are bank foreclosures. Of the 4 pending sales, 2 are bank foreclosures and none are short sales. Of the 26 closed sales year to date, 3 are bank foreclosures and 1 was a short sale. These numbers indicate a stable market with a reasonable number of distressed properties given the current climate. Some of the newer subdivisions have much higher rates than this. This may be another reason as a whole the neighborhood is maintained meticulously, and why it is so desirable. It also breaks the mold of today’s newer, cookie cutter communities. Whiskey Creek offers what today’s newer communities don’t, which is yard size, mature landscaping, and that established feel. Combined with a perfect south location, we believe Whiskey Creek will remain a favorite for home buyers for years to come. Watch the Future of Real Estate Show July 20, 2010 for updates on what is currently happening ine SW Florida Real Estate market. Posted in Southwest Florida Real Estate.Tagged Deed restricted community in Fort Myers Florida, Fort Myers Florida, Ft Myers Villas, McGregor Area, Povia Ballantine builder.